History is indeed a fascinating story encompassing wars and revolutions, progress and decline, the acts of great men and women and the lives of ordinary people. Historians grapple with the great questions of cause and effect, change and continuity, impact and significance. 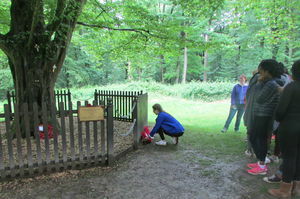 At Cobham Hall we set out to peer into the pages of History so that students enjoy learning about the past and develop the skills of the historian. Through their studies they learn to think critically, formulate and justify an argument, explain their reasoning and present their ideas persuasively. A whistle stop tour of British history getting to grips with key historical ideas and concepts such as social, economic and political change, the role of kings and government and the changing lives of ordinary people. 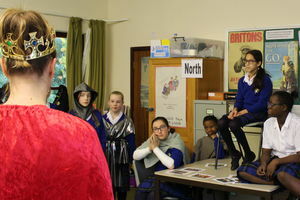 Highlights include a Medieval Feast, performing a town crier’s speech, reporting live from the Peasants’ Revolt, re-enacting the Spanish Armada and holding a public enquiry into working conditions at a cotton mill. An in-depth look at the causes and consequences of the First World War which introduces some of the major 20th Century events whose repercussions are still being felt around the world today. Highlights include a trip to the Royal Engineers Museum, re-creating the Versailles Peace Negotiations, hearing personal presentations on the Holocaust and trying to win big on the US stock market in 1929. Covering some of the most significant events of recent history, students learn about revolution, dictatorship and democracy, they also see how the past has shaped the present understanding the roots of some of the biggest challenges facing the world today. The A Level course encompasses case studies from around the globe as it focuses on the progress of civil rights and the ways in which people have fought for freedom and democracy. The course has strong links to the news we hear day by day and gets us thinking about wider questions of how change takes place, the nature of progress and reform, the role of government in society, and the rights of all people to equal treatment. Students are encouraged to participate in our Humanities Forum, allowing application of studies to topical discussion, and develop their presentation and debating skills.